The 160 page book showcases exquistie abd innovate hand stitch projecrs.12 brand new masterpices with each project revealinf its own story with galleries of lush photos and meticulous easy to follow instructions . Creative Stitching' includes step by step concise written instructions, along with clear illustrations, for 50 of Sue's favorite stitches. Included are close up, color, photographic examples of each of the stitches used. 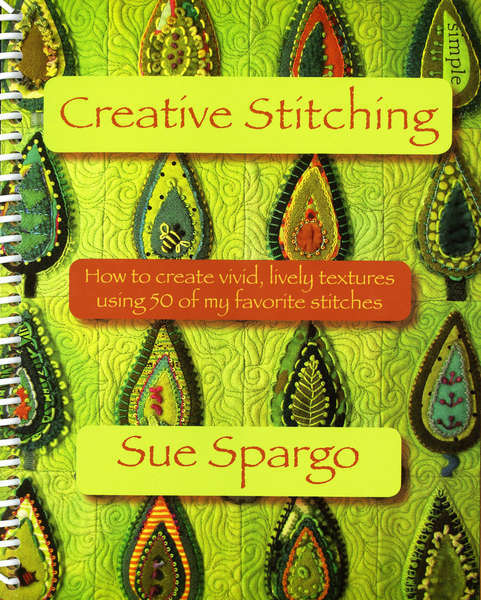 The beginning of 'Creative Stitching' gives you a detailed look into the needles and threads Sue uses, and throughout the book are never before seen color photographs of Sue's work. 'Creative Stitching' is spiral bound to stay open to the page you are using, is small in size to conveniently take with you anywhere, has an alphabetical index in the back of the book along with a category breakdown of stitches in the front which allows you to choose a stitch by the effect you are looking for. 'Creative Stitching' is the must have book for you to begin creating highly embellished, textural pieces of art. Little girls will treasure the beautiful quilt, cushion and cloth doll presented in this book. Beautiful photography and detailed instructions provide everything you need top make these items. Pretty pastels and dainty details are reminiscent of days gone by, accentuated by miniature embroidered dresses that embellish each square of the quilt. 64 pages + Lift out Pattern soft cover. Home decorating enthusiasts will adore this collection of 16 inspirational pillow embroidery projects, complete with a primer on machine embroidery for those new to sewing, and helpful tips and tricks from industry insiders. An accompanying CD-ROM features the designs used in each project as well as bonus patterns. 160 pages, Hardcover with concealed spiral. The book features an exquisite style of needlework from Guimaraes in Northern Portugal. Drawn thrrad work and bullion embroidery combine to create a strikingly beautiful style. The book contains many how to instructions, illustrations, and 10 attractive projects with step by step guides. 104 pages soft cover . 25 Teddy Bear Blocks plus border & quilt designs. # quilt projects and accessories such as pillow cases, framed picture and overnight bag. The 12th book this very popular Australian series of reference books. 128 pages excellent value. Learn to paint with a needle. 120 pages for the beginner to the experienced stitcher. 12 Designs for bunnies in the garden with detailed patterns, diagrams and simple, unique instructions throughout. 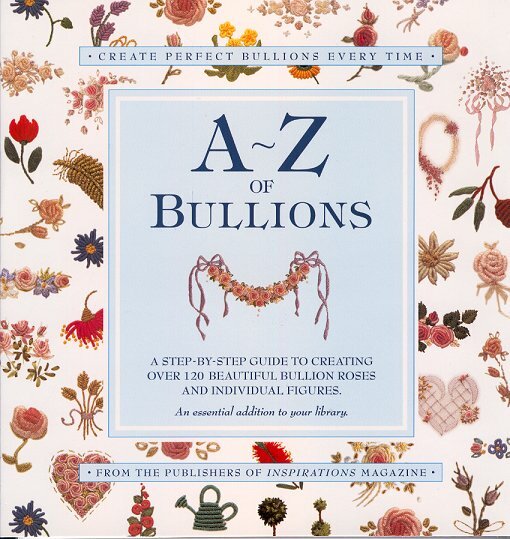 Instructions for over 100 exquisite embroidered versions of this much loved flower. Each project has a colour illustration, full instructions and a full threads list for DMC and other well known threads. 190 pages in this real hard cover edition with dust cover. Aimed at a broad range of skill levels from beginners to those who have dabbled in counted work, cross stitch, hardanger and pulled thread to more experienced practicioners. 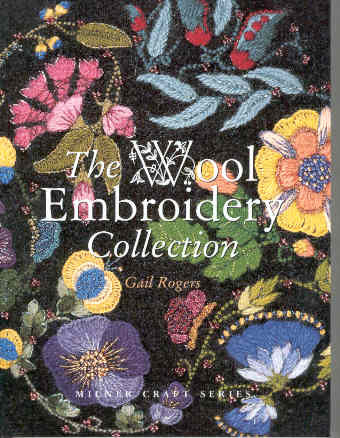 It combines drawn thread embroidery, needleweaving and surface stitches which reflect the authors personal style. Step by step instructions, Fabric selection, threads, equipment etc. Well Illustrated , 15 projects. An excellent publication. 160 pages. 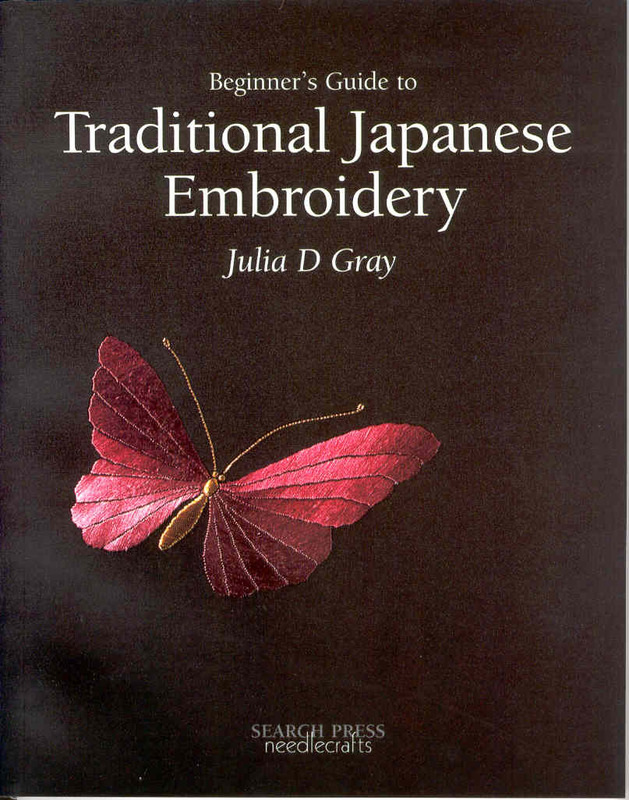 An introductory section covering all that is needed to set up and finish embroidery pieces. 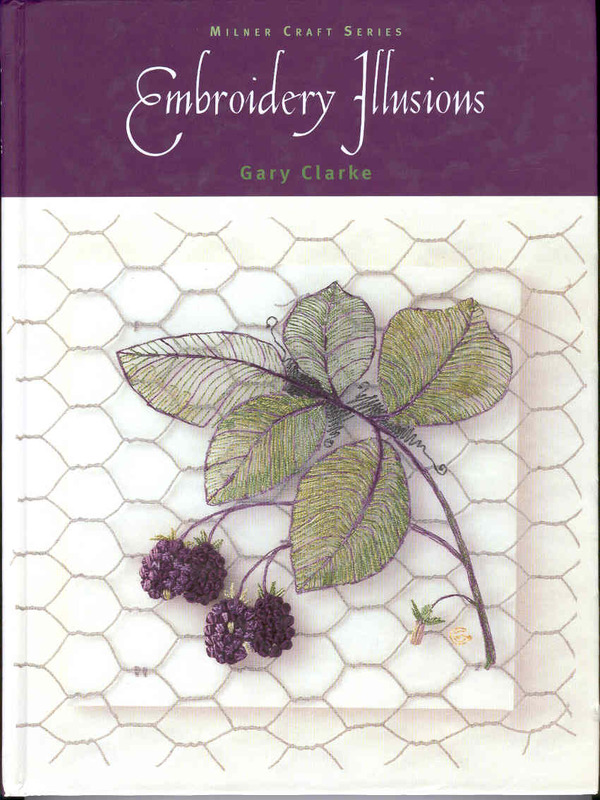 Chapters on silk shading, goldwork, crewel work and blackwork all with detailed instructions, photographs, illustrations and comprehensive stitch glossary in a easy to follow style. Embroidery is deeply entrenched in almost all aspects of everyday life in a Ukrainian village family. 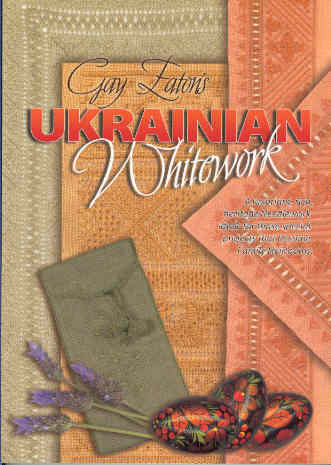 Many stitiches and methods of working Ukrainian whitework are not included in well known stitch dictionaries. They give the work a distinctive charm and beauty and bring to Western European needlework valuable additions yo our stitch dicxtionery. 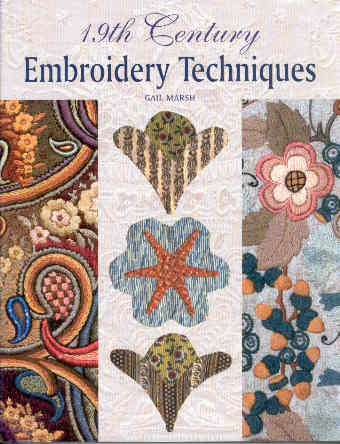 144 pages this book is a complete manual of embroidery stitches for beginners through to advanced embroiderers. More than 1300 step by step coloured photographs. 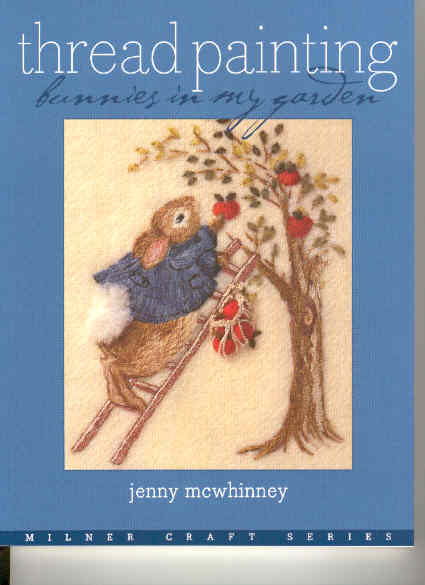 The book will hopefully encourage you to try new stitches in your projects. Get hooked on crochet. The simple instructions and easy to follow instructions will have you crocheting like an expert in no time. 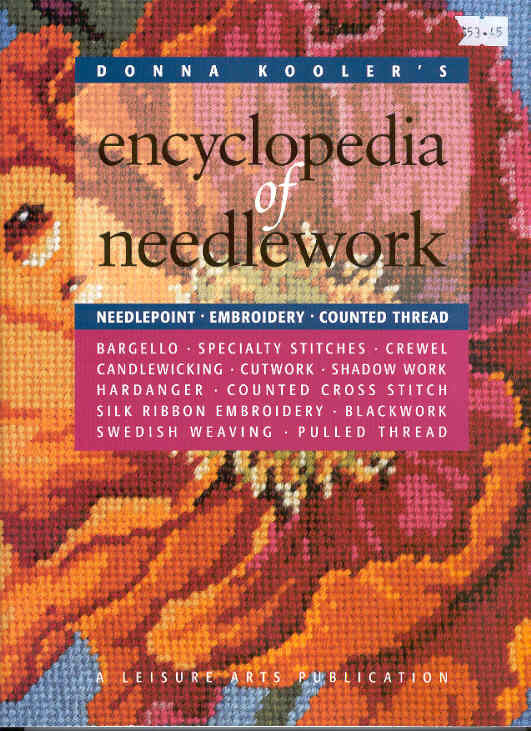 Already and expert - then this book will expand your repertoire of stitches. 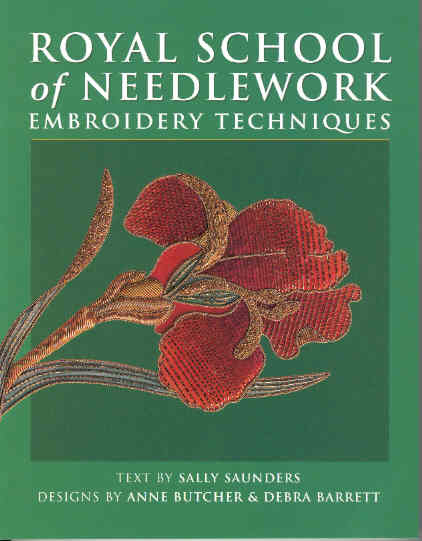 320 pages devoted to all forms of needlework and embroidery. 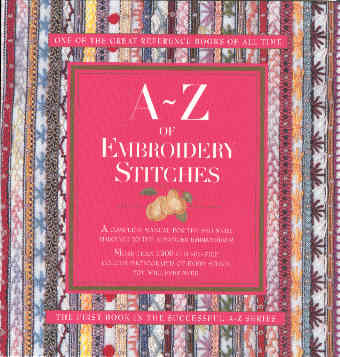 Various stitches illustrated with coloured diagrams and photographs .A good reference work. Embroidery worked on transparent organza stretched over a frame creates the illusion of stitchery suspended in air - as if embroidered on glass. The shadow cast by the embroidery onto the background completes the illusion. Twenty projects lavishly illustrated cover projects from seahorses to ferns, landscapes, elephants, fruit and flowers etc. with detailed instructions. 192 pages hard cover from the Milner Craft Series. According to tradition , students of Japanese embroidery must watch a master a work and 'steal the knowledge'. The author shares her passion for this exquisite craft, revealing her in depth knowledge of the skills and and symbolism involved. Detailed instructions reveal the intricacies for working with silk thread on silk fabric. Clear step by step photographs. 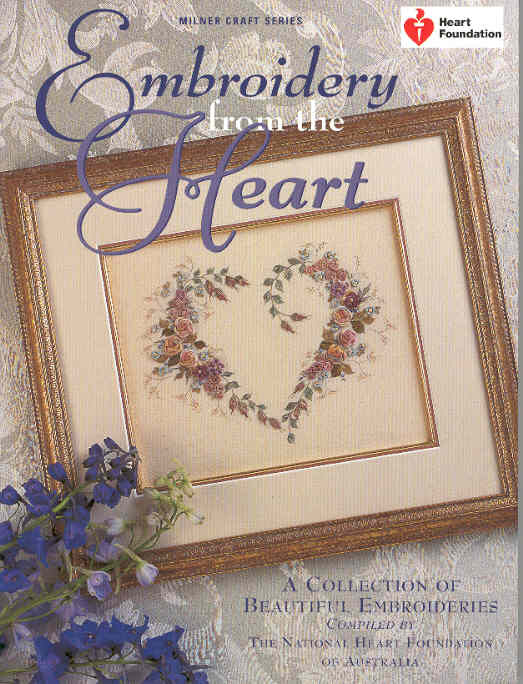 119 pages of a beautiful embroideries complied by the Australian Heart Foundation, various designers. All of the designs feature a heart. Various forms of embroidery utilised. A excellent publication not to be missed. 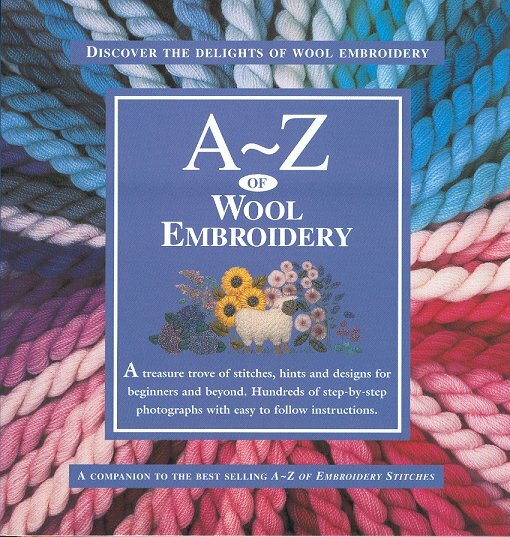 98 pages of designs for wool embroidery. Many Australian Wildflower designs to embroider and many projects in which to use these designs. 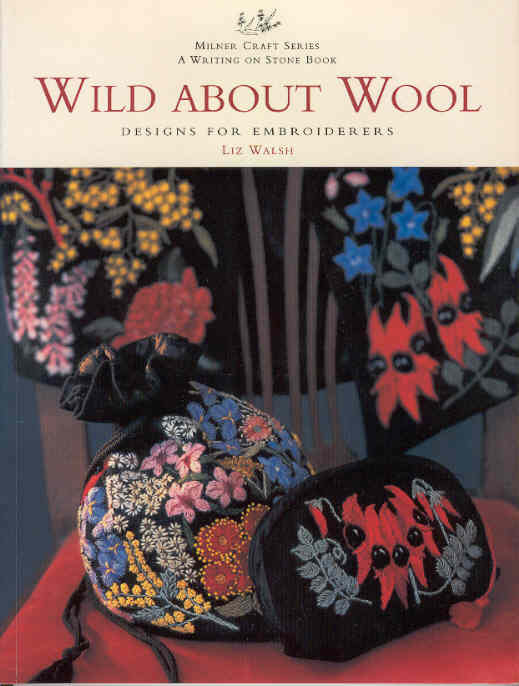 176 pages of adventure into the wonderful world of wool embroidery. In many designs the embroidered wool is enhanced with metallic threads, the sheen of silk ribbon and the extra dimension of beads. A variety of woolen blankets with teddy bears Australian wildflowers and native animals. with easy to follow instructions. Designed to answer all your questions with over 1000 step by step photographs in 128 pages. Very easy to follow. bullion roses and individual figures. The above are just a few of the approximately 100's of specialist Patchwork' Embroidery & Needlework books currently in stock and we have access to. We have access to all major publishers and can obtain any book you require. BOOKS (CS2) - Cross Stitch Leaflets - Counted Cross Stitch Design booklets. ARE YOU LOOKING FOR A BOOK THAT IS NOT LISTED? RING OR EMAIL AND CHECK OUR PRICE.